The AG Pro Installer (801285) is a dual band indoor cell phone signal booster designed for professional installation in large buildings. The adjustable gain controls on this booster allow the installer to set separately the uplink gain and downlink gain on both the 800 MHz and the 1900 MHz spectrum bands. This feature allows optimization of the booster's gain to match the requirements of the building in which it is installed. 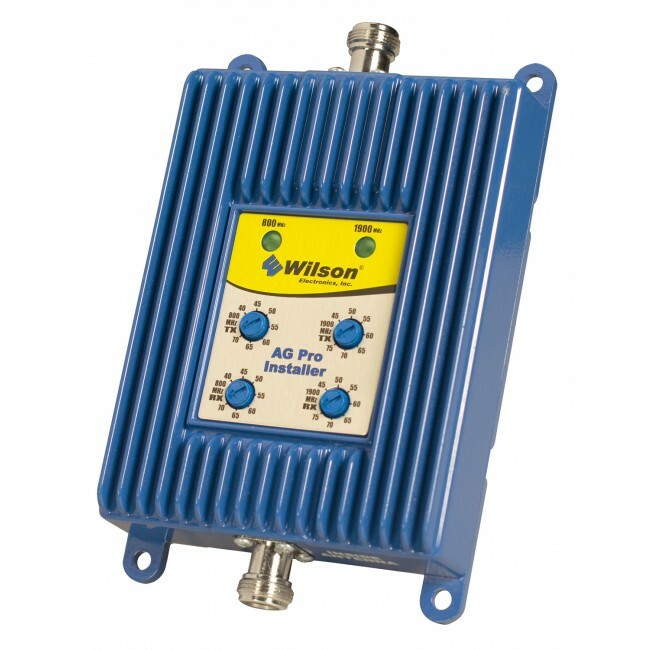 With gain up to 75 dB, the AG Pro Installer can provide coverage for larger buildings suffering from weak, unreliable signal. 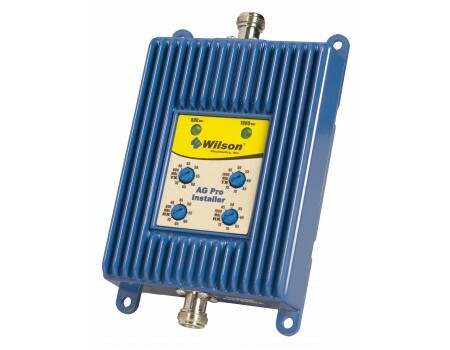 This device supports multiple simultaneous connections, and includes Wilson's very fast oscillation sensing technology and auto-shutdown, as well as cell tower proximity detection and auto-shutdown, in addition to other cell site protection safeguards. The AG Pro Installer (801285) comes with an AC power adapter and instruction manual. For a complete system, you also need antennas and cables. If you have any questions or would like us to design a complete signal booster system for you, contact us for more details.